Myoflex® has 3 different formulas with an effective key ingredient. *Active Ingredient in Myoflex® Regular, Myoflex® Extra Strength & Myoflex® Max. 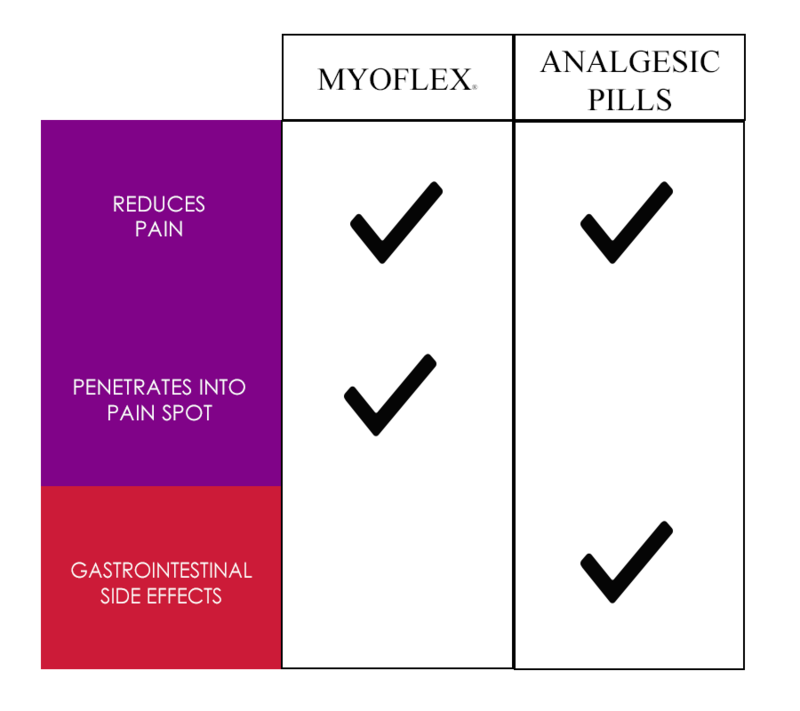 Myoflex is a topical pain reliever is an ideal substitute for patients that cannot take oral analgesics due to gastrointestinal, cardiovascular or kidney problems. Health Canada has recently released a safety review which warns consumers about the potential risk of serious skin burns from using Over-the-counter topical pain relievers containing menthol, methyl salicylate or capsaicin. Myoflex® does not contain any of the ingredients listed in the safety review.